Public speaking classes for kids. If you are looking for the best public speaking classes for your child, consider the below points carefully. 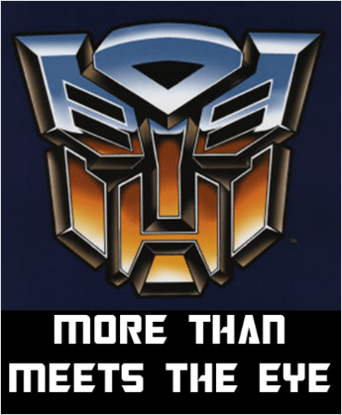 Choosing the right public speaking classes for your child is kind of like trying to choose a transformer toy… there is often “more than meets the eye”. Here are 6 points that every parent should consider when deciding what the most appropriate public speaking program is for their child. 1. Are the teachers experienced, accredited, qualified and skilled at teaching children? Being a champion adult public speaker or debater does not translate into being experienced & skillful at teaching the subject to a group of children. These are two very different skill & experience sets. To help your selection process, you may like to ask questions such as: “Are your teachers registered with the Victorian Institute of Teaching (or the relevant state teaching institute)?” or “Are your teachers accredited Trinity Guildhall or AMEB Speech and Drama teachers?” or “What teaching qualifications do your teachers have? Do they have a bachelor of education?”. The more “yes” answers you get, the more qualified they are at teaching your child. This is an important step to ensure your child is in the best hands. 2. Who developed the program? As per point 1 above, you would be wise to ask questions to make sure the program you are enrolling your child into is designed by someone qualified in teaching groups of children, ideally from a school teaching background. Over the years, many public speaking programs for kids have be designed by university students or adults who have a debating or public speaking background usually formed within an adult context (such as toastmasters or local debating or public speaking competitions). Whilst many of these programs offer great learning options, it is worth considering are they the best at teaching groups of children in a way that will deliver the best outcomes for the students? So check what their school teaching credentials are. If they are from a school teaching background themselves, that is a good sign, especially when it comes to children below the ages of 13. 3. Are the classes fun? When a child has fun, their learning outcomes are often much greater. Most programs claim to be fun, but most programs have different styles and approaches – some may not be overly fun despite marketing themselves as such. Explore their website and you will often get a feel for the program. Do the children appear to be sitting behind desks in the classroom? Do the teachers use white boards? If so, that can often represents a low energy class environment that is not maximizing creative learning and often less fun for students. If in doubt, have your child attend a trial class. 4. Do the children get the opportunity to practice the skills regularly over time? Just like a great sportsperson or musician practices regularly over a long period of time, so too must a good public speaker & communicator. It takes regular & consistent practice and coaching to become great at anything. We would caution parents that irregular 1-3 day courses or holiday programs are unlikely to deliver anywhere near the results you will see from regular weekly practice. 5. How structured are the public speaking skills in the program? A program with a strong long term structure can help ensure that it delivers in more areas over time for your child. It will also benefit a child more during their schooling life if the program is focused on connecting to, and complementing the school curriculum as much as possible. 6. Does the program allow children to trial a class? It is common for a child to be unsure if they want to attend public speaking classes. Trying a class often helps eliminate any concerns or barriers a child may have. Also not everyone program is for every child, no matter how good they are. More often than not, once they try it, they can’t wait to go back! If you are looking for great public speaking classes for children in Melbourne, please check us out at Super Speak. Our aim is to make public speaking fun for all children to learn across Melbourne. We have a unique approach, leading curriculum and positive teaching methods that help achieve great results. We have taught our program to over 32,000 children since 2005 and would love to help more children learn these skills. If you are interested in having your child attend our program, please contact us today at info(at)superspeak.com.au.